Marketplaces and prices shown matched UPC number 887961585698 during our search. When they get to the top of the building - beware! There is a brontosaurus on the loose so they will have to make a quick getaway down his neck and out of his mouth to safety! 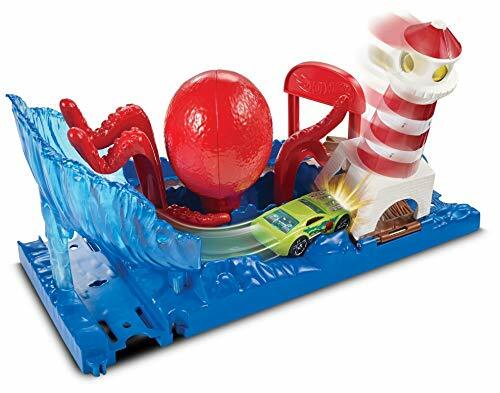 Each exciting set provides ample storytelling play based on imaginative action with Hot Wheels vehicles. Everything connects! Each set connects to other Hot Wheels City sets and is compatible with orange track, too. Includes one Hot Wheels vehicle. Create an entire Hot Wheels City with iconic landmarks while battling creatures with 5 sets. 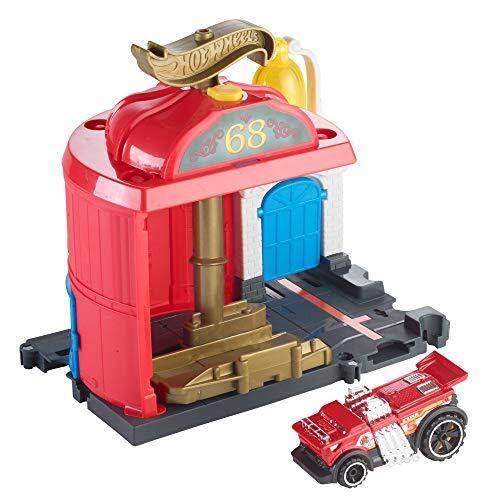 Fuel kids' imagination with this kid-favorite set featuring a fire station! Your kids can drive their Hot Wheels car to help protect Hot Wheels City by putting out fires in the fires station.? 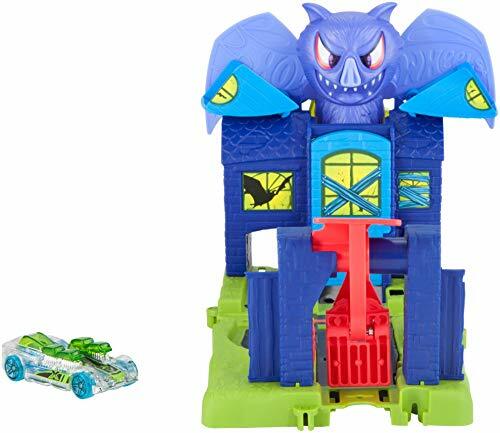 This colorful set with cool features provides ample storytelling play based on imaginative action with Hot Wheels vehicles. Everything connects! Each set connects to other Hot Wheels City sets and is compatible with orange track, too. Includes one Hot Wheels vehicle. Kids can explore Hot Wheels city through their favorite iconic city locations using their Hot Wheels cars. Lock up bad guys in the police station, spin down the fire pole at the fire station, fuel up and go at the gas station, capture the mischievous monkey at the power plant, and dodge the Piranhas at the aquarium. 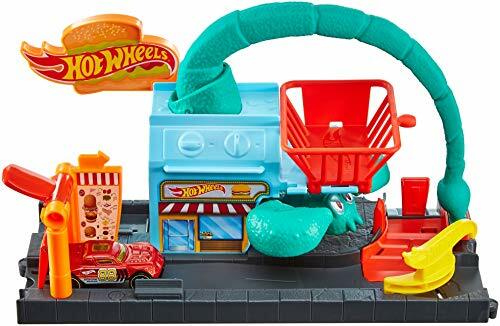 Each set connects directly to other Hot Wheels city sets with the new connection system, still compatible with your orange track. Includes one Hot Wheels vehicle. Age range is 3-6 years old.